I started writing a blog post called “What’s Keeping Me Awake, Pt. 2” to follow on the heels of a post about a sleepless night. Last night (since it’s 3 am already), I tossed and turned listening for our sick kitty. The vet is coming today to end our tortoiseshell’s long battle with kidney disease. It’s the first time we’ve been able to say good-bye to a pet at home, but the time between scheduling the appointment and the actual appointment is a vast space. It’s been such a long, sad winter in our home and I’ve had enough of it. The Green Study will return on April 1, 2019. Instead of writing what would be a continuing narrative of unhappy posts about dead relatives, dying kitties, and a middle-aged lady’s health anxieties, I’m going to take a break, let things settle a bit, get through today, get through medical testing in the next couple of weeks, get through the last dregs of winter. There is so much immediacy in my life that I’m writing without circumspection and that feels like showing first drafts to my mother. I adore the editor within, but right now she’s too busy googling medical scenarios, feline and human alike, to be of much use. Since this post will be up for a couple of weeks, I don’t want to leave on such a melancholy note. My aching gratitude for the humans and pets with whom I’ve shared a life is in the form of grief right now, but like the spring that reveals bright green shoots on the trees, it will give way to hopefulness and warm memories. And perhaps writing which will honor those lost during this long-enduring winter. Until then, I leave behind a smattering of unrelated thoughts. I’ve been off Twitter for a couple of weeks now and ended some video streaming services. The math of doing fewer enervating activities adds up. I feel better and I’m more focused. I hit a couple of main news sources in the morning and at night and leave the punditry and digital sophistry to others. You never know what you don’t need until you stop using it like you need it. That should be profound, but it just sounds like a bad sentence. My editor is completely checked out. 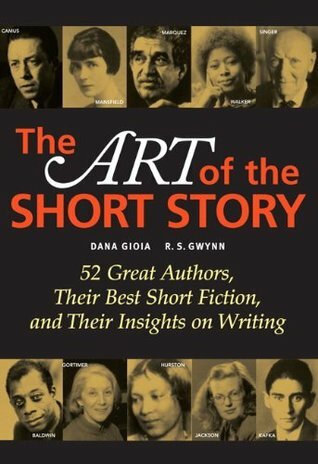 I’m nearly through a 900 page lit course called The Art of the Short Story. To sum it up, with Flaubert everyone dies, Flannery O’Connor hates humans (not a single likable character), Poe likes convoluted sentences, and the 1800s killed writers at a young age. I learned more than that, while also becoming suspicious of the idea that good literature has to be realistic and miserable. After I get through the stories by Welty, Wharton, and Woolf, I’m going to read some lighter fare – Neil Gaiman’s Trigger Warnings and Christopher Brown’s Tropic of Kansas. Well, lighter than Faulkner and Oates, anyway. This week I revisited W.S. Merwin’s work The Shadow of Sirius. Merwin, an American poet, passed away a few days ago. There is something striking about the passing of what I call the “gentle poets”. Mary Oliver died earlier this year. It takes a moment to adjust to the quiet pace and the light maneuvering of language. We have become so battered against the rocks of cruel and incurious public discourse that first reactions to gentle poetry is a snickering cynicism – as if nothing matters over 280 characters or 20 second sound bites. To read poetry is a deliberate return to tenderness, a rebuke to the world too enamored of its own edginess. Considering how the year started and how it is currently proceeding, I’m all for resetting the holiday to align with spring. What did that old Roman god Janus know about the long Minnesota winter, when looking forward and back is just more snow? Spring is when energy rebounds, optimism in the form of daffodils and tulips arise and large rabbits deliver chicken eggs. Humans are weird. This particular human needs a reset on the year. Until that happens, I’m off to get myself sorted. Thanks. Even if it’s not good news, I think for me a little time and perspective is required before writing about things publicly. Thanks for the kind wishes. I am grateful that we’re able to say good-bye at home. Much more peaceful and comfortable. The good thing about known poets is that they’re never really gone, and I’m guessing the gentle ones had beloved cats. Our thoughts are with you in all these matters. See you in the new new year. Thank you. I have high hopes for spring. I’m sorry about your health issues. I just read that post and wish you the best. And I’m so sorry about your kitty. Hugs from Arizona. Thanks, Luanne. Saying good-bye to our furry companions never gets any easier, but of all of them, this was the most calm and peaceful sendoff for the kitty, so I’m very grateful for that. Yes, that is a good way to see them off. But so sad. Thank you – it’s just about due! I feel for you Michelle. You have experienced a lot of loss and you are yourself facing unknown challenges. And then the winter thing. YEESH. Wishing the best for you and hoping your time off is one of rest and renewal. Thanks, Ilona. It definitely has been a tough few months. I just want some time to bounce back before the next thing hits. Still, I guess I consider myself lucky that I can afford health care for both myself and my pets. Hoping for life to slow down a bit soon! That’s very kind of you. Most of us go through losses – I just wish mine were a little farther apart. Still, spring has finally come here – the sun is out and I’m able to get outside. It really lifts the spirits after a long winter! It looks like sun and warm temperatures aren’t an issue for you. Wow – 103F/39C in some places today!